Plans to cap housing benefits for social housing tenants in line with private sector have been deferred for a year until a review is completed. The move means a partial reprieve for the supported housing sector which provides vital services for a range of vulnerable people. The future remains uncertain. The government had planned to roll-out new caps on housing benefit across the social housing sector in April. The National Housing Federation had estimated that over 50,000 households could lose an average of £68 per week each from the caps, and that this would make 41% of supported housing – which is more expensive than general needs social housing – unviable. During an opposition day debate on the proposed cuts to benefits and supported housing, on Wednesday, housing minister Brandon Lewis said the review would include extensive consultation with local authorities and supported accommodation commissioners and would report by March. “We will get the findings of the review in the spring and we will work with the sector to ensure essential services they deliver continue to be provided while protecting the taxpayer, making sure that we make best use of the taxpayers’ money and meet government’s fiscal commitments. And we will look urgently at this to provide certainty for the public sector,” the minister told MPs. Writing in Inside Housing, the National Housing Federations David Orr has warned that, “Although the measure is not due to be fully implemented until April 2018, the government has failed to understand that it has a profound impact now, today”. “Existing homes will begin to close very soon as contacts for the provision of care and support services, which usually last three to five years, are renegotiated. 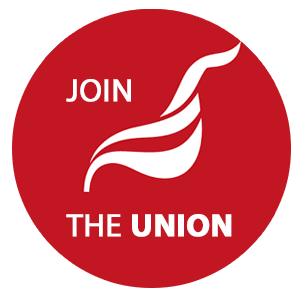 Unite is fighting to defend services and jobs in the sector, Unite reps will press management in the sector not to make hasty or irresponsible cuts.